The Precious Heart Selection was a November 2018 release in Japan that included the GST-W310BDD-1AJF and MSG-W200BDD-1AJF, diamond-accented Tough Solar/Multi-Band 6 G-STEEL and G-MS watches available to purchase individually. Based on a promotional video that Casio recently released, it appears that the rest of Asia will be getting the G-Shock G-STEEL GST-S310BDD-1A and Baby-G G-MS MSG-S200BDD-1A which are basically same as the Japan models but without the Multi-Band 6 feature. (This excludes China who will be getting the same models as Japan.) We expect to see these watches released sometime in November 2018. Along with natural diamonds placed at the 12, 3, and 9 o’clock positions and multi-faceted glass with angled edges, the mid-size GST-S310BDD-1A and slim Baby-G G-MS MSG-S200BDD-1A also feature stainless steel bezels, bodies, and buttons with a black ion plating, a rose gold index and hands, and black resin bands. Based on the video, both of these models have a black IP metal band keeper. (MSG-S200 models usually have resin band keepers.) 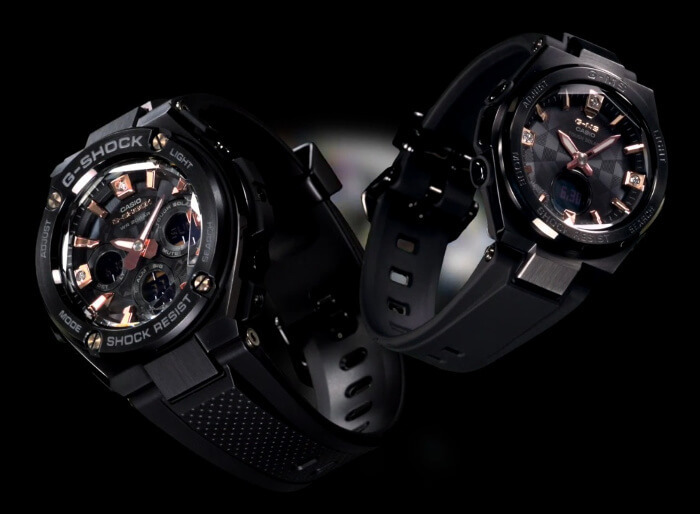 As G-Shock and Baby-G watches, these models feature full shock resistance. 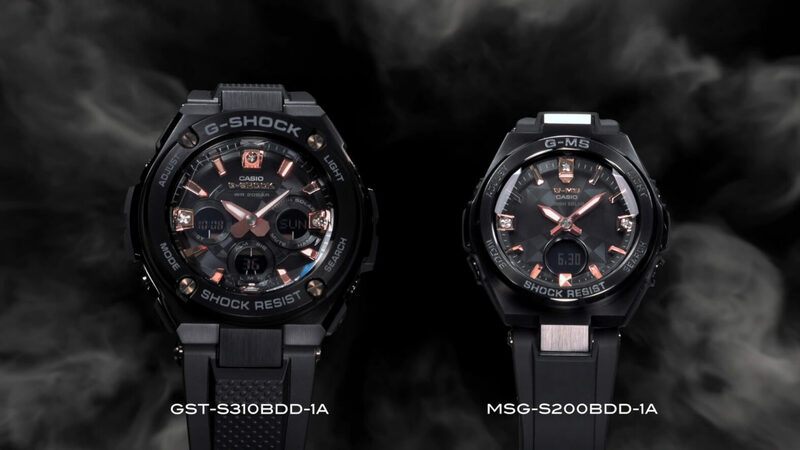 The GST-S310BDD-1A is water-resistant to 200 meters and the MSG-S200BDD-1A is water-resistant to 100 meters.